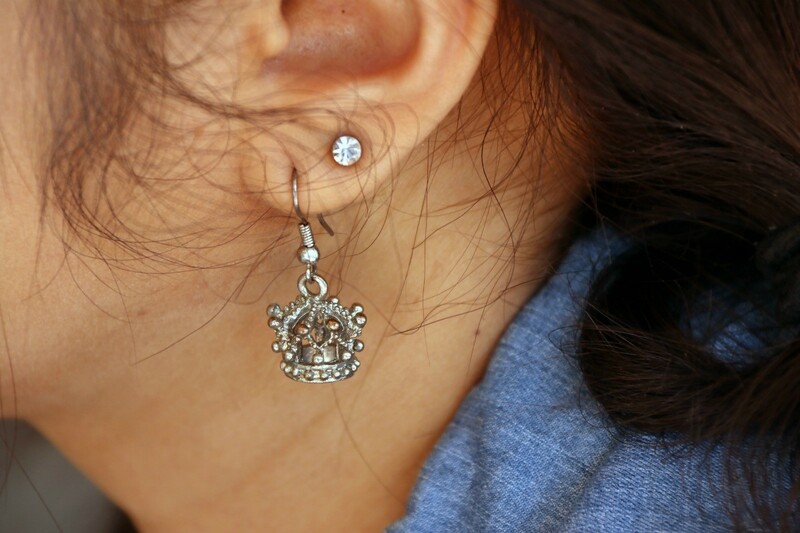 Can Silver Earrings Cause Skin Irritation? Typically if you have an allergic reaction to sterling silver earrings it is actually the trace nickel in the metal. You can try coating the posts or cleaning them. This is a guide about "Can silver earrings cause skin irritation?". Question: Can Silver Earrings Cause Skin Irritation? I have these silver earrings my boyfriend gave me and I wear them with no problems, but now my right ear has started breaking out. I'm not sure if it's because I have sensitive ears or what. But I have put some anti-itch cream on my right ear and I would like to know if that will help or do I need some other type of itch cream to put on my ear? The cream should work fine on your ear. You can also clean the year with hydrogen peroxide to help this too. Many people can wear silver at first, but after a few days of leaving the earrings in the ear they have problems. In your case it is better to remove them daily and clean them before using them again. If this continues to happen, it is best to change the wire on the earrings. You can use Bacitracin, or some other type of cream like that before you put your earrings in. Yes, I cannot wear Sterling Silver or plated/costume jewelry. I would check to see if they are Made of hypoallergenic sterling silver, that would work best if you have sensitive skin. I'd clean my ears with hydrogen peroxide and allow your ears to rest without earrings. What kind of earrings did you wear previously? My right ear is prone to breakouts and keloids with most jewelry where my left ear is not. You might have the same issue. I'd try cleaning it thoroughly but giving the earrings a break. Try them again when the irritation has gone down to see if it happens again. If it does, you have an allergy in that ear. How Much is .925 Silver Worth?